I grew up in Rochester, Minnesota and graduated from the University of Minnesota in mathematics and music, and then I went to New York City for graduate work at Manhattan School of Music studying bassoon. 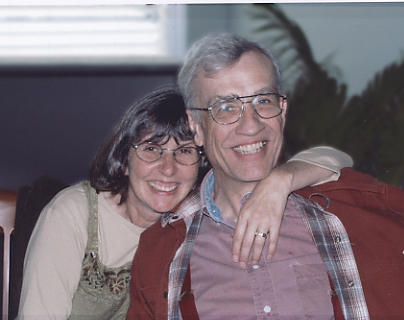 My wife, Ellindale Wells, and I have lived in Occidental, California, for 25 years. Carey Dubbert has been playing music for 60 years. Though best known for autoharp, his other instruments include the piano, percussion, bassoon, and hammered dulcimer. In 1992 Carey won 1st place in the National Hammered Dulcimer Championships in Winfield, Kansas, and in 1999 he won 1st place at the Mountain Laurel Autoharp Gathering. Most recently he has been honored with the Lifetime Achievement Award at the 2008 California Autoharp Gathering. Known for his relaxed and comfortable teaching style, playing tunes is always an important part of Carey’s workshops. Participants are encouraged to find ways that work best for them to achieve the sound they desire. As well as being a regular workshop and mini-concert contributor to the Northern California Autoharp Group, Carey also has given private and group lessons for over 20 years. The small Sonoma County town of Occidental has been home to Carey and his wife, Ellindale for over 30 years. He has played concerts and held workshops locally at the Sonoma County Folk Festival, the Occidental Center for the Arts, and the San Francisco Free Folk Festival, as well as the Mountain Laurel Autoharp Gathering, the California Autoharp Gathering, and the Willamette Valley Autoharp Gathering. Carey grew up in Rochester, Minnesota, graduated from the University of Minnesota and went on to do graduate work at the Manhattan School of Music. While in New York City, he played bassoon with the New York City Symphony, in a big band, The New York Brass, and in a nightclub jazz group, The Doug Kahle Trio. He has recently been the hammered dulcimer part of a trio, Hammer, Harper, and Reed which includes Ron Bean on autoharp and Ann McChesney-Young on accordion. Thanks Dad, Carey’s first CD, features his hammered dulcimer playing and includes cuts with his Irish group Malarkey. One Of Mine is a wonderfully relaxing mixture of hammered dulcimer and autoharp pieces. His most recent CD, Being Home, consists of autoharp and hammered dulcimer, separate and together, and branches out with some cuts featuring other musicians on saxophone and drums. 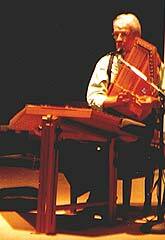 He is also featured on the Autoharp Legacy CD and the DVD, Autoharp: Up Close and Personal. My most recent recording is "Being Home" with pieces that have become my favorites over the years and includes some saxophone and some drums. For many years, four friends and I were a Celtic group called Malarkey with whom I recorded "Thanks Dad" featuring my hammered dulcimer playing. Later I recorded "One Of Mine" featuring my autoharp and hammered dulcimer playing. I am also included on "The Autoharp Legacy", a project of Bryan Bowers. Besides playing music, I own "Smoke & Mirrors", a digital editing service for CD mastering.